The outdoor sports area would be set aside for wheeled sports such as skateboarding, BMX and scooters. The area in Hargher Clough would be set aside for wheeled sports such as skateboarding, BMX and scooters. 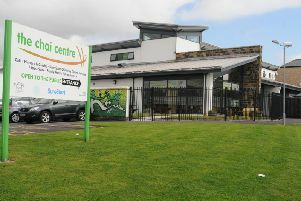 It forms part of wider plans to develop the site as a neighbourhood park for south west Burnley. Hargher Clough community association has raised £130,000 from a variety of sources, including a £50,000 contribution from Sport England, to fund the project. Local councillors also contributed £2,000 from their ward opportunities fund to help towards the cost. Coun. John Harbour, Executive member for housing and leisure, said: “Hargher Clough Park is taking shape to be a great community asset for that area. A lot of work has been invested in the recreation ground to make it a great place for youngsters to enjoy.